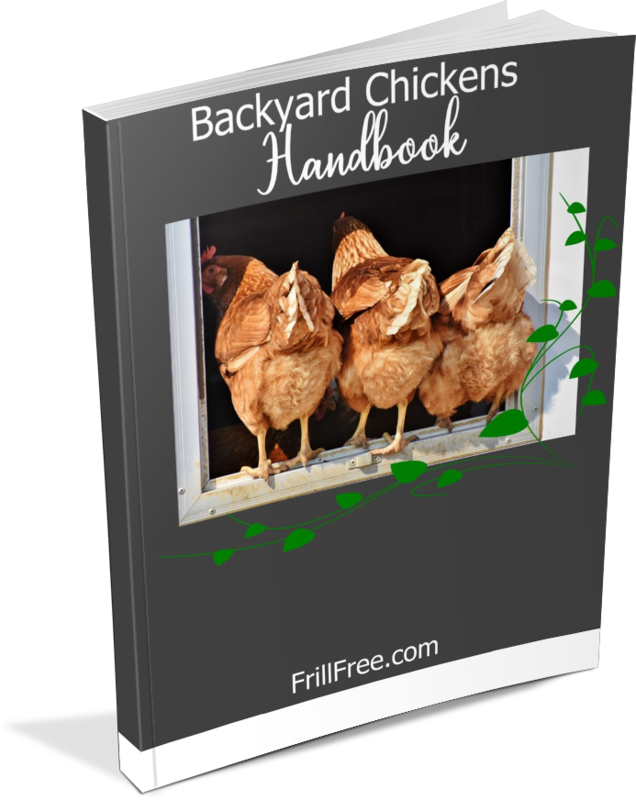 Feeding your chickens is pretty basic. They are omnivorous, which means they'll eat almost anything, from bugs, to weed seeds, grain, earth worms, apple cores, even meat. Food is the basis of health - so it's no surprise that feeding your hens the correct way makes all the difference. Hen scratch is several types of whole grains plus crushed corn; I scatter it on the deep litter of their cozy little house. Additionally, they get chick scratch, similar to the above, but chopped, which I soak for a few minutes with hot water. This swells it up, and when they eat it for their evening meal, they get a double benefit. They get additional water in their diet, plus if it’s still warm when they eat it they will be warm all night. Ample water, warmed in the winter if possible. Making porridge for your hens can increase egg production during the winter. This little known secret will astonish your friends when you tell them you have fresh eggs every morning, even when it's cold out. In very cold spells, I also cook up potatoes which I mash and add to the porridge mixture, with some grated apple. They also get the odd handful of earthworms from the vermicomposting, as well as scraps of bread, rice or noodles from the family dinner table. For a treat, they love meal worms, or even fly larvae. Don't look too closely at what they like to eat. In summer, I pull weeds and throw them over the fence, green manure cover crops that are cut from the mulch bed like alfalfa, which I grow in a chicken herbarium so they can't scratch up the roots. 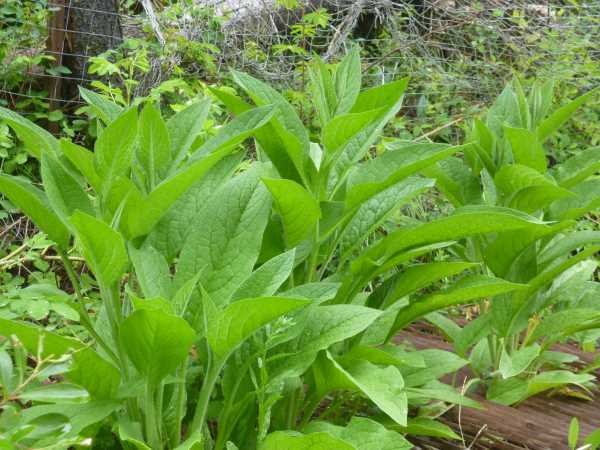 Comfrey is a great crop to plant this way too, so they can keep the top growth in bounds and get the goodness of the greens, but the roots are safe. Brassicas such as cabbage or Chinese greens contain so many antioxidants - they're not just good for humans, but they add that lovely deep gold color to those fresh eggs. Sprouted grains of any kind are very nutritious, as are sprouted weed seeds. If you are fortunate enough to have access to hay that is unsuitable for animal feed, they’ll gladly scratch around in that until they find any seeds. 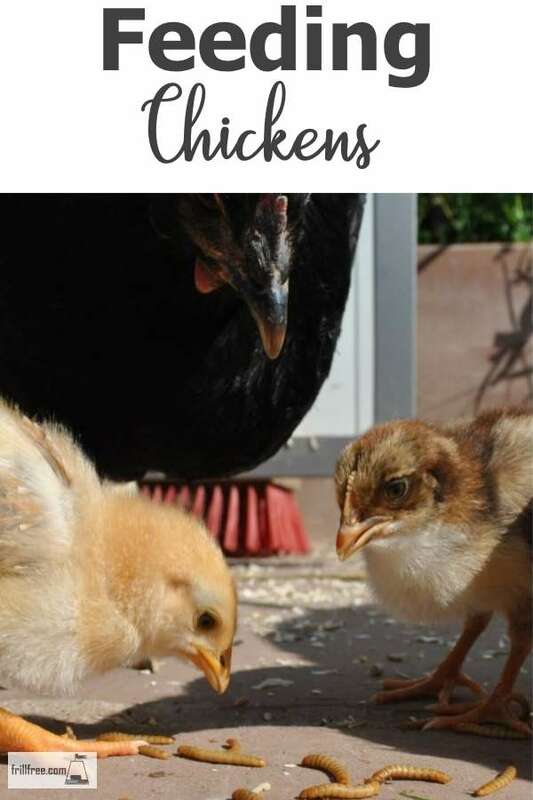 Chickens prefer to scratch for their own food, foraging in your garden, under shrubs and trees, and generally fending for themselves. Unfortunately, they sometimes are so zealous that they do some damage. If you can make a movable pen or chicken ark for them, they are safer from predators and you can confine them away from delicate crops. Chickens like lettuce just as much as you and I!